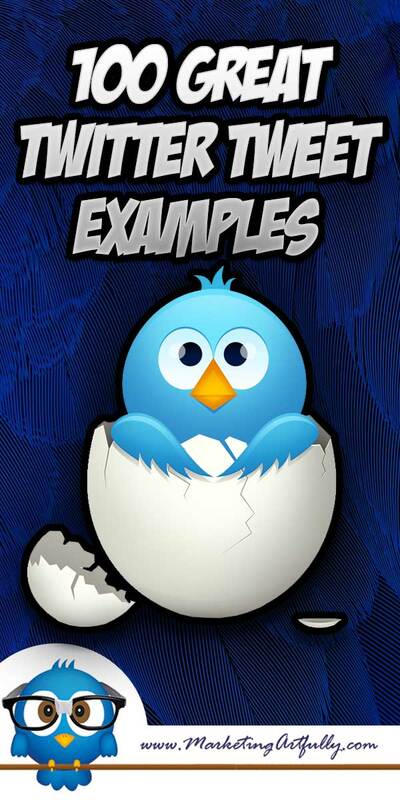 Looking for good tweet examples for your Twitter marketing? Good tweets are super easy when you have a great resource to get your ideas flowing! Most of my posts are just so I have my research handy to use wherever I am…this one is no exception. I spend A LOT of time crafting tweets (and blog post titles) that I think will be “tweetable” or “sharable”. This list is what I use to get the creative juices flowing. if you are an author of one of these tweets and would like it taken down, please just let me know…if you have a great tweet example that I have not included, please leave a comment and I will review it for inclusion! Examples… One of my best number posts 100 Ways To Make Money Online From Home! You should leave room for retweeting. What you need to do is count the numbers in your Twitter name (@taradactyl has 10 characters), then you want to add 4 for the “RT, a space and then the @ sign before your name). So my posts should never be longer than 126 (140 available MINUS the 14 for the retweet characters). 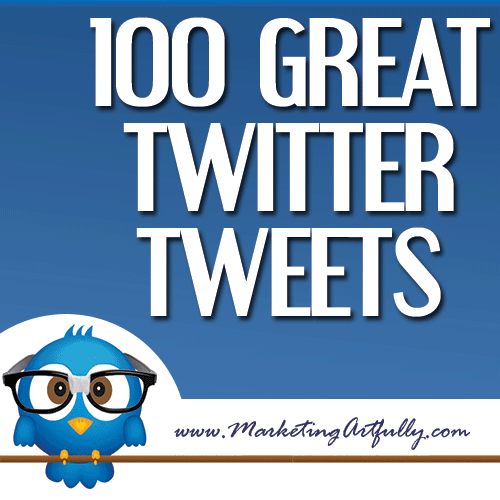 100 Great Twitter Tweet Examples is a compilation of good tweets that I have seen across the Twitterverse. 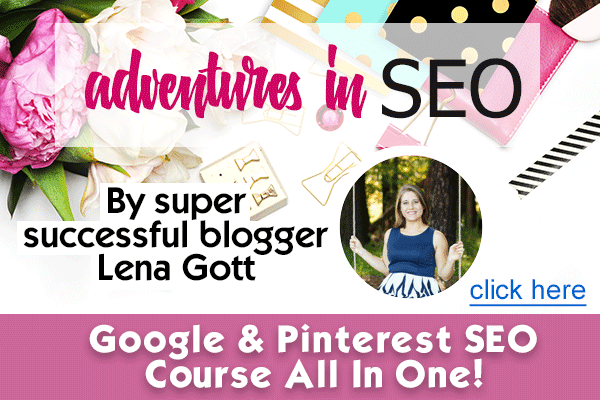 I tried to make them relevant to all industries but KNOW that there are more Twitter marketing tweets than anything else…that happens, I am a marketing gal through and through! Previous Post: « Entrepreneur Marketing – Marketing Focus…what are your three most important things?